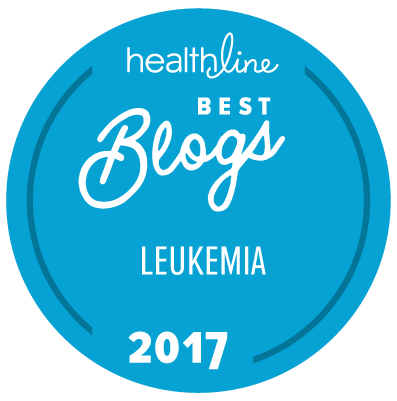 Five years ago, when I was diagnosed with chronic mylogenous leukemia, I was concerned about so many things. Mostly these concerns, were about the future. First and foremost, would I have one!? Second, if I had one, what would it be like? Would the medication that I had to ingest daily, wreak havoc on my body? Would it cause another cancer to develop, or damage my organs and body beyond repair? I have developed hypothyroidism and high cholesterol, and am currently on a watch and see plan for a spiculated nodule that was found on my right lung. I had more than 600 ml of fluid drained from my left lung due to pleural effusion, a side effect of Sprycel, (my life saving medication) two weeks ago; the fluid came back cancer free. That was a huge relief. Last week, I saw a pulmonologist about the "spiculated" nodule on my right lung. Due to its' size, 4-5 mm, he is going to repeat the CT scan in two months; this will determine the next plan of action! 2. It has remained the same; this will put me on a long term, waiting for the other shoe to drop, plan; continued observation. 3. It has slightly increased in size; this option will be cause for a needle biopsy to check for cancer. 4. It has greatly increased; this will result in its' removal, obviously through surgery. It would then be biopsied. Of course, I asked what worse case scenario would actually entail, and what would it mean for the rest of my life; in other words, will I die of lung cancer, any time soon? This was his answer: he feels that due to the fact that this nodule was discovered at such a small size, that once removed, if it was cancerous, he would perform a PET scan, and if that was clear, he would consider me cured. No chemo, no radiations. I told him that I could live with that! So, for now, I shall wait and see; fingers and toes crossed! Five years down the road, I am still Dancing My Way Through Leukemia!! I'm so glad to find this post. My husband started Sprycel after CML diagnosis Dec 2014 and has had plural effusion. After ongoing bout with shortness of breath, tiredness and weakness he had stress test and cardiogram. Heart is fine but they found multiple nodules, one is 3 x 3.5 cm. which is very large. He goes for CT next week. If you're was 4mm it is a lot smaller. Do you have updates since February? I would like to be able to give my husband something positive to read about. Hello! Glad I could help! And yes, my nodule completely disappeared, and I had the fluid in my lung drained and biopsied and that was clear also. I do still get pleural effusion, and a short sprycel break typically clears it up.